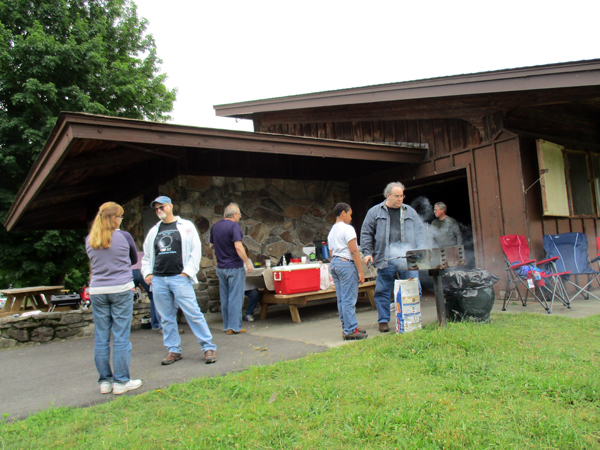 The annual Summer Solstice Picnic was held at Osbornedale State Park in Derby on Saturday, June 23. 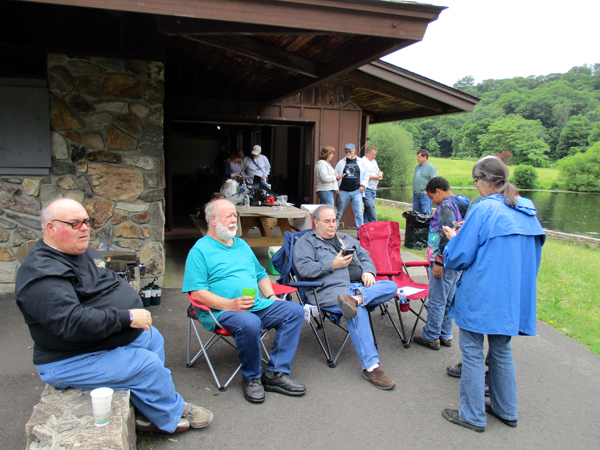 The forecast was for rain and thunderstorms, but the picnic went on as scheduled because we had a sturdy pavilion building in which to hold the gathering. 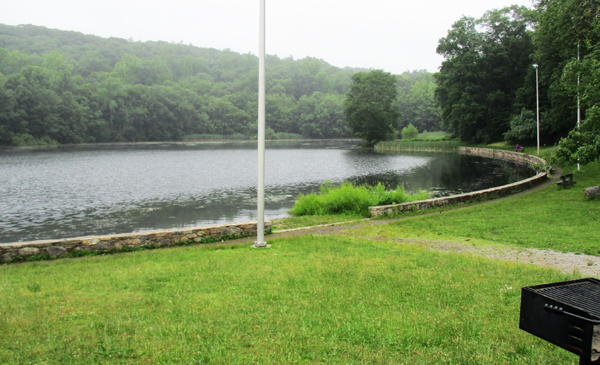 As it turned out, the rain did not come, and we had cloudy but pleasant weather for the entire afternoon. 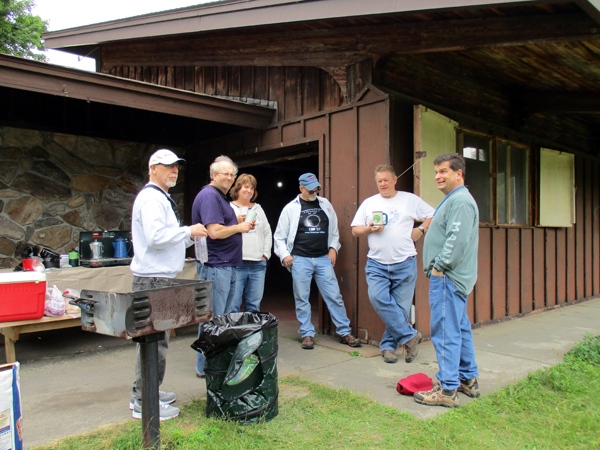 There was plenty of good food and conversation, and some of our group had a chance to take a walk around the park’s trails. We were also treated to a display of some interesting raptors, thanks to a nearby gathering of a birding group that had brought a number of owls and hawks. 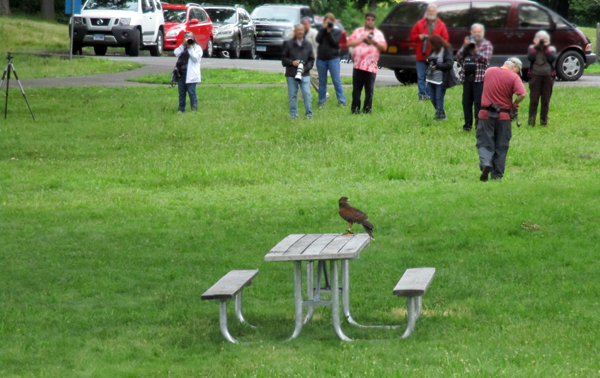 Several of the hawks flew from tree to tree in our vicinity, responding to the commands of their trainer.